For questions, or if you encounter any difficulties with the ordering process, website, or our products, please email me. I answer emails within 24 h; if you do not get a response within 48 h, it is likely that your email did not reach me. Please, resend your message. Orders are shipped via USPS or UPS (at my discretion). $25.00 shipping for orders via USPS. Size limits apply. Please, contact me for questions before ordering. Charges are per box via USPS. Size limits apply and the largest box possible is 26x20x20″ (65x50x50 cm). Whole 0.5″ up to 3″ sheets can be folded for shipping. Please, contact me for questions before ordering. Please, make sure your address in PayPal is correct and current, as I ship only to confirmed addresses. Include your apartment or suite number if applicable. If shipped to a commercial address, please include the respective business or company name. Buyers in Minnesota pay applicable sales taxes. Note: The shipping & handling charge covers the postage, boxes, tape, packing materials, paypal fees, and the person who packs your orders. Small orders are more costly to prepare and ship than large orders compared to their value. So I could either require minimum orders, charge a small order surcharge, or have the basic shipping fee as is. Unfortunately, I do not enjoy the price discounts large shippers receive, but we usually ship out faster than the leading online retailers. Fish ship only within the continental USA. Your order may also be delivered to shows, auctions, and conventions that I attend. Goto the News page to see my schedule. I ship fish in molded Styrofoam boxes with outer cardboard via UPS from ZIP code Rochester, MN 55906. There are no box, heat pack, or handling fees. I prefer to ship UPS overnight, mainly because I don’t want to risk the lives of the fish. Second, if something goes wrong there is always an argument, remember, we keep fish for fun! I ship live fish only within the continental USA, no exceptions. For dry good orders please, email me with what items you would like to order to prepare a shipping quote. Shipping fish food to other countries is not always possible because of local restrictions. Since these restrictions vary by country and change constantly, it is your responsibility to check first, if fish food will be allowed into your country. I do not cover any losses for confiscated orders. I ship USPS Priority Mail International, which comes with tracking. The first pound is by far the most costly to ship (~$45), while each extra pound adds about $5 depending on country. There are size limits and the largest box possible is usually 26x20x20″ (65x50x50 cm) or 20x20x8 (50x50x20 cm). Please, note that as a business I have to declare the merchandise value. Consequently, your country’s customs may impose import duties or taxes, which are your responsibility. I use a Paypal shopping cart, which provides security and protection for buyer and seller. The shopping cart buttons are fully encrypted and therefore I never see your credit card or paypal account information. SwissTropicals, LLC does not store, sell, or otherwise distribute your information and does not send you unsolicited emails, except if needed to complete your order. Please, check your spam folder for emails from swisstropicals@gmail.com or add my email to your address book. I offer live arrival for my animals when shipped overnight since I am convinced that my fish are among the best you can purchase. In a case of a DOA, please notify me immediately. If you are not at home on the first delivery attempt the guarantee is void. Depending on availability, I will replace the animals or refund the purchase price. I ship replacement animals at my expense because my guarantee is watertight. None of this “I ship you more if you pay shipping” nonsense! However, there is no more guarantee on the replacement animals. At my discretion, I reserve the right to delay shipping when the temperature is below 40 °F (5 °C) or above 86 °F (30 °C). In any case, I will work with the recipient to ship at a mutually agreeable time to ensure that the fish arrive safely but I cannot guarantee that they arrive at a specific time. All purchases require prepayment by Paypal, check, or money order (payable to “SwissTropicals”), or conveniently with any credit card via Paypal invoicing for the full amount before any order will be shipped. Personal checks have to clear before shipping. Returned checks are charged a $40 fee. All returns/exchanges need to be pre-authorized and exclude any livestock (email me for instructions), shipped back with a tracking number, and the products returned in unused condition before any refund is given or exchanges are shipped out. Shipping costs both ways are non-refundable, unless the error was mine. Any unauthorized returns or refused packages are charged $20.00 per package return fee plus a 20% restocking fee that will be subtracted from the refund. COD return shipments are not accepted. 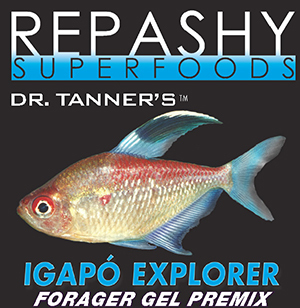 I only feed the best foods that money can buy: Sera Foods and Repashy Superfoods, plus various frozen and live foods. I raise the fry to the best of my knowledge and experience and cull heavily, so availability is usually limited. Sorry, I do not keep waiting lists. All information provided on these pages is believed to be correct and reliable but does not constitute a warranty or guarantee. In any case, SwissTropicals LLC’s maximum obligation shall be limited to a refund of the purchase price or replacement of a defective product. SwissTropicals LLC or its owner shall in no event be responsible for consequential damages of any kind or amount. Please, email me first to receive a shipping quote for your order.